Thank you for your interest in Susanne’s Motivational and Inspirational books! Please use the PayPal button below each book to add your purchases to your Shopping Cart. You can view your Shopping Cart at any time by clicking the “View Cart” button. ** Please Note: you do NOT need a PayPal account to purchase this book!! You may use your Credit Card through their secure server. ** Again, Please Note that you do NOT need a PayPal account to purchase this book!! You may use your Credit Card through their secure server. Items ship within 7 days. 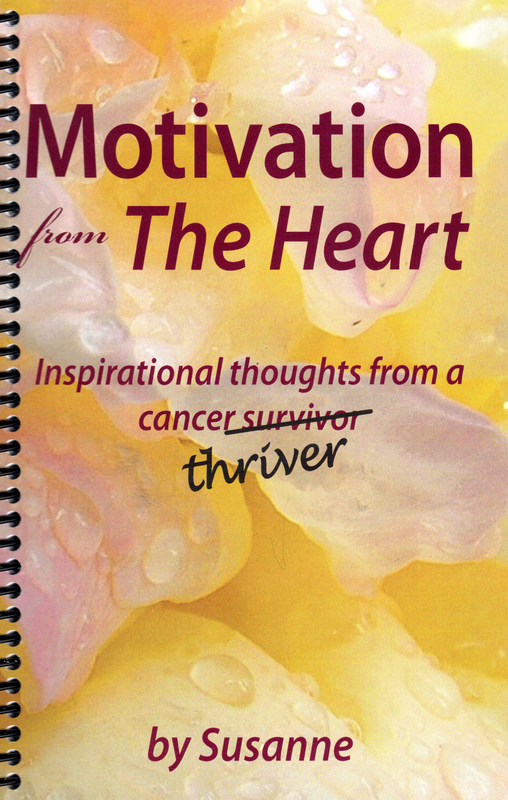 International Orders please contact me @ http://motivationfromtheheart@live.com for Shipping costs.